You know you have that song stuck in your head now that you read the title of this post! Or is that just me? I’m back with a new card using the same dies and stamps I used on my last post. This time I decided to make a clean and simple card, which is my favorite style. I will be entering my card in two challenges. The first is Addicted to CAS Challenge, this challenge is about birds, great reason to use the flamingo dies again! Second is the Simon Wednesday Challenge, and the theme for this challenge is “Let’s Get Sentimental”. 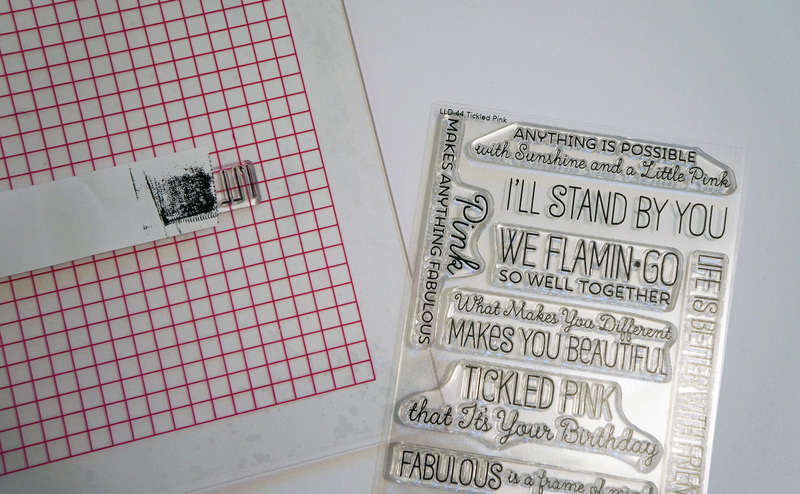 First I stamped the sentiment the same way I did with my “Hope Today Tickles You Pink” card. I used my MISTI to stack the words on top of each other instead of keeping it in a straight line. You can see below how I masked off the words and stamped one word at a time. You can also see how the sentiment regularly looks (plus all the other cute sentiments that come in this set). For my card base, I used my blending tool to create a soft pink background. I used my Spun Sugar Mini Distress Ink because it’s very light and I only wanted a hint of pink coming from behind my sentiment. I die cut the flamingo with MFT paper and adhered the sentiment with foam tape. 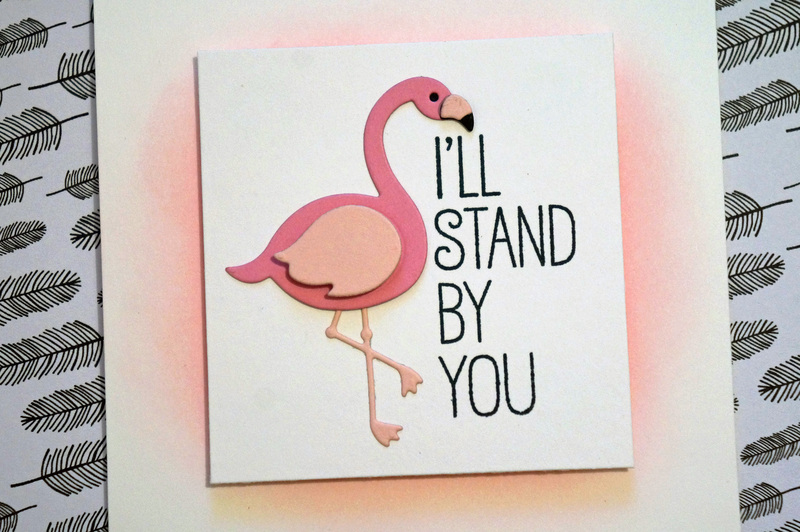 And of course, I wanted my flamingo to stand by the sentiment. Also, I wanted to mention the cool background paper with the feathers is from Amy Tangerine, I will link up to that paper pack in the InLinkz below. I hope you guys enjoyed my new take on flamingos. There’s still so much more I want to make with these guys! Thanks for stopping by! Beautiful card! Love the cute image and sentiment!! 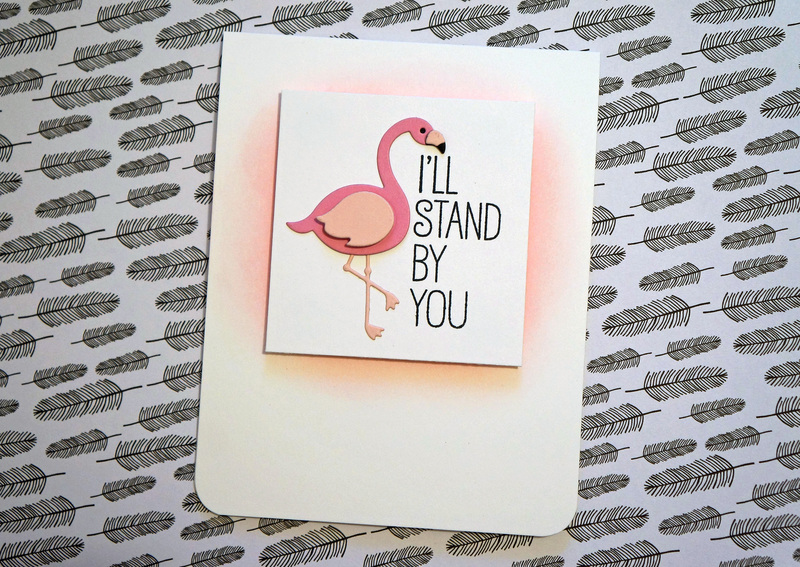 This is so sweet with the flamingo … perfect sentiment! 🙂 Thanks for playing along at ATCAS!